New vertical stairs to your Minecraft. 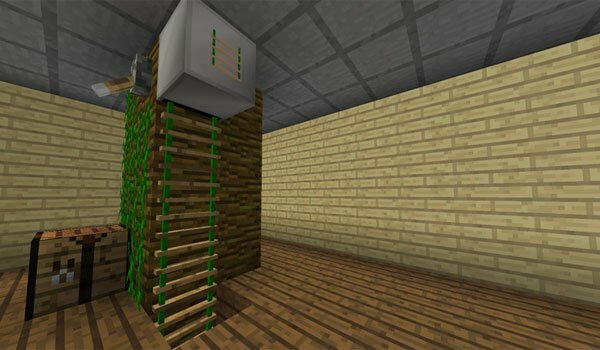 Luppii’s Ladders 1.7.2 and 1.7.10 is a mod that adds two new classes of stairs to play, rope ladders and solid stairs, plus a block that allows you to automate the process. Regarding at the solids ladders, they can be placed next to a block unlike the deafult ladders which are currently placed on the block. About the rope ladders, you will need a block to stick the first step, and the rest of the ladder can be placed up or down like forming a floatting ladder. Finally and perhaps most interesting, there’s a block called “Ladder Dispenser”, which acts as a ladder dispenser when is provided by a redstone signal. This block only works with rope ladders. When activating the redstone signal, the dispenser will automatically drop the ladders to ascend or descend them. How to install Luppii’s Ladders Mod for Minecraft 1.7.2 and 1.7.10? Two new types of vertical ladder and automatic dispenser!